If you have specific questions about the range of promotional products featured on Compendium Planet, we encourage you to contact our sales team directly. 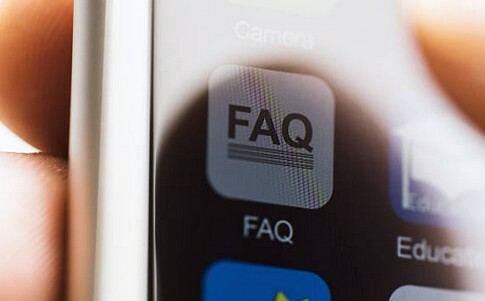 But to assist with basic questions, we've compiled this list of common queries the team receives which may assist in clearing up details for you. Credit card payments are subject to a 1.38% merchant's fee (for Mastercard and Visa) or 3.1% merchant's fee (Amex). Yes, we are an Australian owned and operated organisation, and we keep our stocked compendiums in Melbourne and Sydney. When we brand on stocked goods, we perform this locally. If you order a very large number of compendiums or your compendiums are fully custom made, your order may need to be completed by our overseas team. In general, we try to employ local staff and stock wherever possible. Is it possible to see what my logo will look like on the product? Yes, we happily provide free virtual mock-ups of your logo on compendium and padfolio images. Kindly send through your logo design and we can have something created just for you, no obligations attached. May I see a physical compendium sample? Certainly, simply email us along with your physical address and we would be able to organise something for you. Samples charged at a discounted price plus freight. Is it possible to receive a formal quotation? Yes contact our friendly sales staff and advise them of the product you are after, the quantity you require, and the branding you need for your design. Your sales contact will forward through an official quotation on our letterhead for your reference. I want to proceed with an order - how do I do this? Simply reply to your quotation email from Compendium Planet advising that you wish to proceed. We will also require your artwork file. Once we have your order and artwork, we will put together a formal proof and invoice based on the original quotation. Production of your order begins after artwork is approved and payment received. We require files with vectorised outlines such as AI, EPS, PDF and similar. If you have a JPG or PNG let us know and we can our graphic design team redraw it in the correct format for a small additional charge. I work for a charity, do you offer discounted prices? We support Australian charities big time. So if you are a registered charity we would definitely help to get you a better price - simply let our team know when you contact us. What is a Three-Ring Compendium? How Big is an A4 Compendium? How Big is an A5 Compendium? How Big is an A6 Compendium? Can Custom Compendiums Fit Tablets? How Do I Care For My PVC Compendium? How Do I Care For Promotional Leather Compendiums? How Do I Care For My Microfiber Padfolio?